Best Rated Excursions and Day Tours in Samana Dominican Republic. In 2009, Mr. Euris Agueda who has worked for the Dominican hotel company Amhsa Casa Marina as a receptionist and then at the highly recognized Grand Bahia Principe hotel chain, respectively, had already accumulated extensive experience working indiscriminately in the many sectors of the tourism industry. With also a strong experience of the airport operations and been motivated by coworkers, having already taken a job as part of the executive committee of the Luxury Bahia Principe Cayo Levantado hotel company and having the knowledge of travel agencies, tour operators, and hotel industry in general, he then decided that it was time to start his own company! 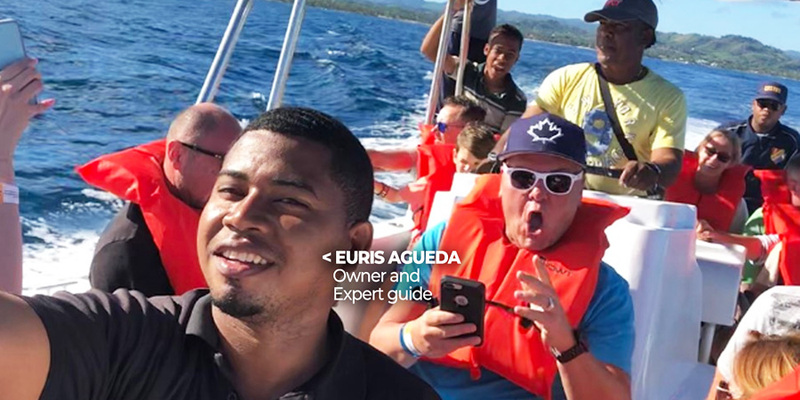 Mr. Euris Agueda at the end of 2017 graduated from the Open University for Adults UAPA as a Graduate in Tourism Business Administration, turned around immediately to start his Tour Agency "Samana Tourist Services" located in Las Galeras, Samana Dominican Republic. Samana Tourist Services™ is a tour operator and travel agency, specialists in receptive tourism and with a great experience in customer assistance service, hotel reservations, assistance in airports and hotels, land, maritime and internal air transfers and excursions. Consolidate as a leading company in the market of receptive tour operators and travel agencies nationwide, based on the management of total quality, promoted by the satisfaction of our customers. Compromise and responsibility. We are committed to offering our customers an excellent service oriented to total quality management. Create the best entertainment options for the recreation of all our clients renew our excursion programs and tour packages and implement new forms of travel. Provide the customer with a product or service offered when contracting with our company. Loyalty to customers is fundamental in the sense of products and services that must be exclusive, as well as confidentiality.